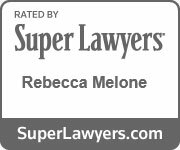 Virginia Marital Separation and Property Settlement Agreement | Melone Law, P.C. While many states provide legal separations which are granted by the courts, Virginia does not. Instead, if a couple would like to separate, they can do so by simply living separate and apart. However, it is recommended that a separation agreement is created which is also commonly known as a property settlement agreement. When a married couple decides that they want to live separate and apart, a Separation Agreement is created in order to divide their responsibilities and assets in a mutually acceptable way. This document may be used in three ways: if the couple wants to separate but is not ready for divorce, if they are ready to divorce and want to divide assets, or if they want to separate but remain married. The terms can include but are not limited to earnings, debts, properties, and parental responsibilities, child support, visitation, and spousal support. The Separation Agreement can be submitted for consideration during a final divorce judgment, or prior to divorce proceedings. 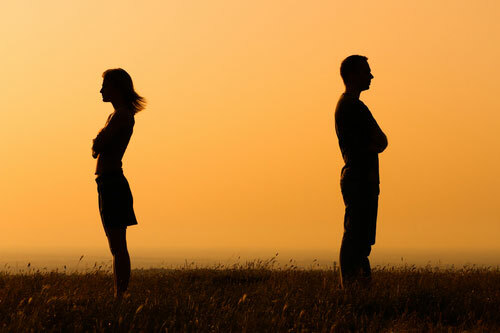 Due to the fact that leaving a spouse can be deemed spousal desertion, a Separation Agreement can be used to ensure that both parties are divorced on no-fault grounds. Once this agreement is filed, either party can file for an uncontested divorce in which both parties are deemed not at fault after a period of 6-months if no minor children are involved and after 12 months if minors are involved. Separation Agreements, like any other legal document, can be complex and confusing but are binding. Due to this fact, and the importance of the document for both parties involved, it is highly recommended that both parties review the document with their own attorney before signing it. This will ensure that each party’s interests are protected as it is very difficult to have the agreement changed or amended by the court once both parties have signed it. A signed separation agreement is a valid contract and the terms will be enforced. However, there are a few issues that may be subject to change in court such as custody, child support and visitation or access, depending on the best interests of the child. An experienced attorney will be able to review the agreement and help you take the best approach. As you can see, a Separation Agreement is an important document for married couples who are going through a separation and plan to divorce in Virginia. While you can fill out the agreement on your own, the ramifications can be long-lasting and will impact areas of your life for years. Experienced family law attorneys have the insight needed to include protective provisions which will close any loopholes which may leave you vulnerable both during the separation and after. To ensure that your interests are protected, it is advised that you consult an attorney who can help you understand your specific situation, give legal advice, protect your rights, and properly fill out the agreement. As a result, you will not have any unfortunate surprises throughout your legal proceedings. Going through a separation is never easy. However, it can be a lot more difficult when you don’t take steps to protect your own interests legally. Our attorneys can help you understand the separation and divorce laws of Virginia, and help you take the steps you need to take to minimize turbulence throughout the process. If you are in need of a Separation Agreement, the attorneys at Melone Law can help ensure your interests are protected. Contact us today to schedule a case evaluation. Your request goes straight to an associate. We'll get in touch with you today. Can I Get Custody of My Grandchild? I don’t have an “estate,” why do I need a plan? Child Custody in Virginia… Can I Relocate Out of State? If you are seeking a qualified, local attorney with offices in Reston and Virginia Beach, VA who has experience in the area of family law, criminal law, traffic, or trusts and estates in Virginia, contact us today at Melone Law, P.C. to ensure that you have the legal counsel you need during this difficult time in your life.